I have been fortunate enough to grow up in a fashion era that has been very liberal. I mean today there is only one rule in fashion: There are no rules! I mean who could even imagine colour blocking 15 years back? Though its about experimentation and all the rules are meant to be broken, there are a few wardrobe staples that are timeless. eg A black dress is the the most classic item in your wardrobe; hands down. Whether its a Cocktail party or a Black tie event, a day out with friends or a special date night, you can never go wrong with a black dress. With the right silhouette and accessories, you can even wear it to the beach! You need not be decked up in pitch black, a few pops of colour here and there make a black dress even more stunning. Moreover, you can never have too many of black dresses! 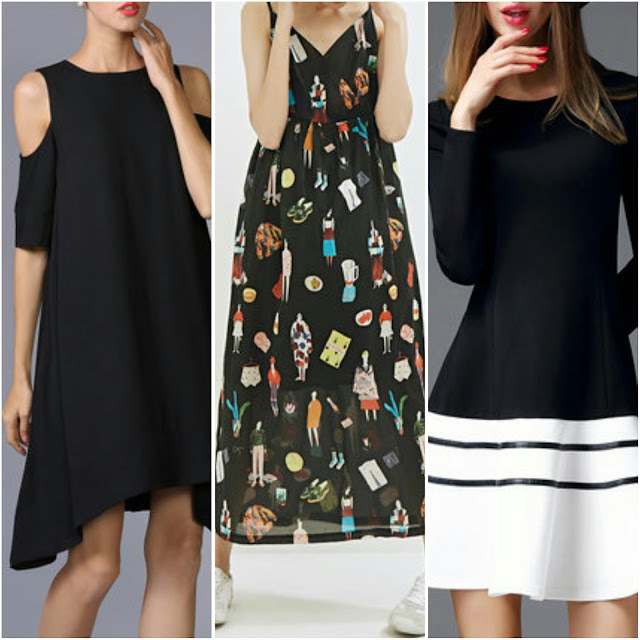 Recently I was surfing the web for more black dresses to add to my wardrobe when I stumbled across this wonderful site StyleWe and I was smitten over the myriads of dresses they have! Not only black, but in every possible colour and design. Not to forget they have an incredible collection of handbags and outerwear like blazers and jackets. I have put together two looks with black dresses which you can wear this fall. Red and black is not cliche, its classic. 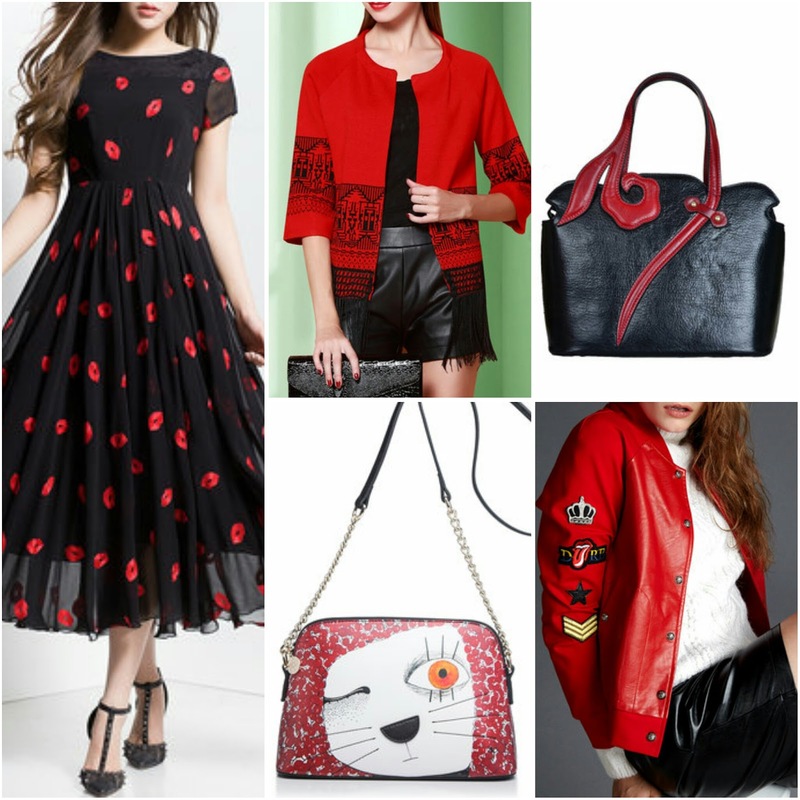 Recently Chiara Ferragni wore a red lips black dress and I was hunting for a similar one (sans the heavy price tag). This red lips dress is so feminine and flirty. You can dress it up with this Fringe jacket and Black Handbag or you can dress it down with this Red Leather jacket and the flirty purse. Its not a secret anymore how much I love green. 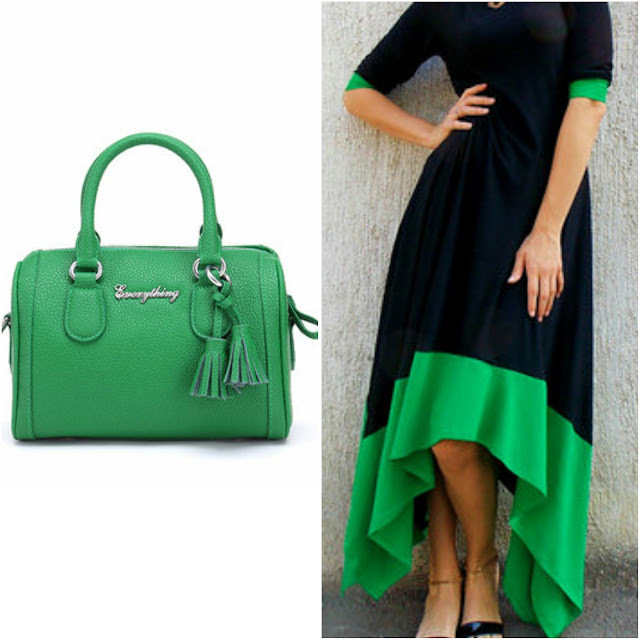 To let this beautiful dress do the talking, I have paired it with this gorgeous handbag. Here are few more black dresses from which I could not take off my eyes. I just noticed that I have been wearing black quite frequently in the recent times. Here is a short recap. 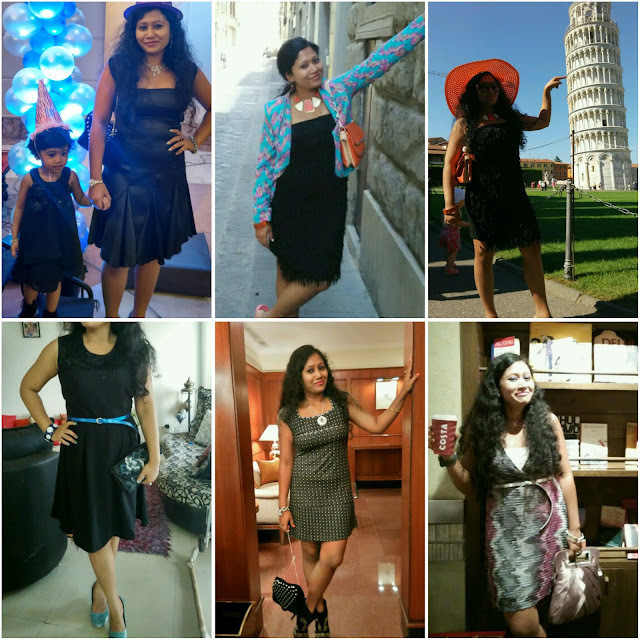 Whether holidaying in Italy, or dressing up for a party or a blogging event, black remains my favourite! I however like to switch things a little by adding pops of colour in the form of clutches or blazers or hats! If you want more style inspiration (who doesn't, duh!) follow StyleWe on Pinterest. Also for fashion advices, celeb style stalking and street style daily dose follow StyleWe Blog. So girls embrace black and look fabulous!! P.s What is your favourite colour? Such a great inspiration. I like black color. You look amazing in that black dress we all need a black little dress never know what occasion pop up easy to accessorize. I love wearing black, be it an all black look or adding a pop of colour with the shoes or bag. Would LOVE for you to check out my new remix video to Noises!! Black is not my fav.. though white is my favorite.